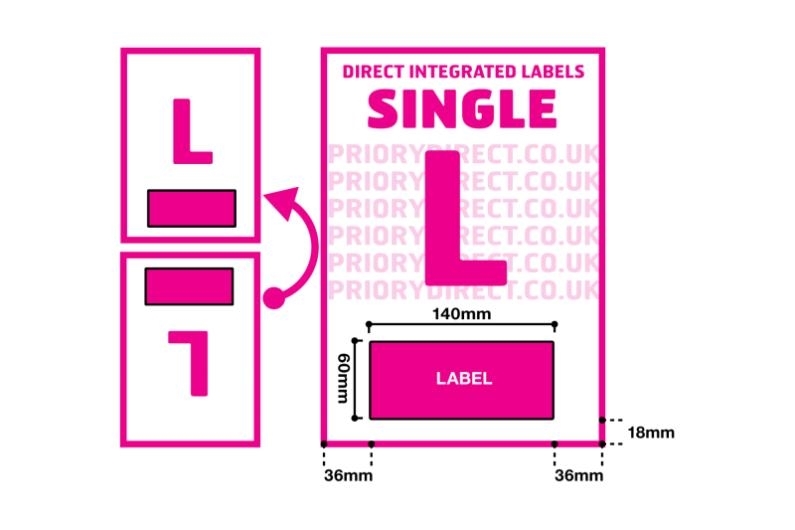 The layout of Single Integrated Label Style L is suitable for eBay sellers and anyone using software with editable templates. 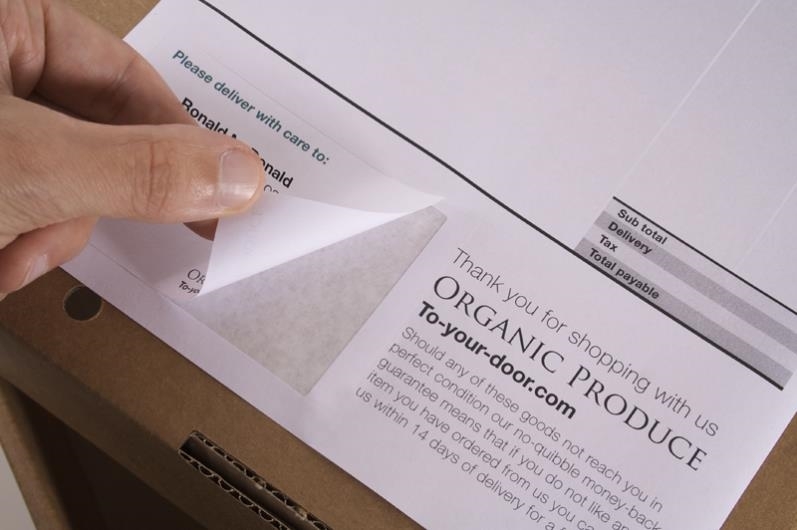 The removable self-adhesive area is 140mm x 60mm in size and is located 35mm from edges in a central position 35mm from the left and right and 18mm from the foot of the page. 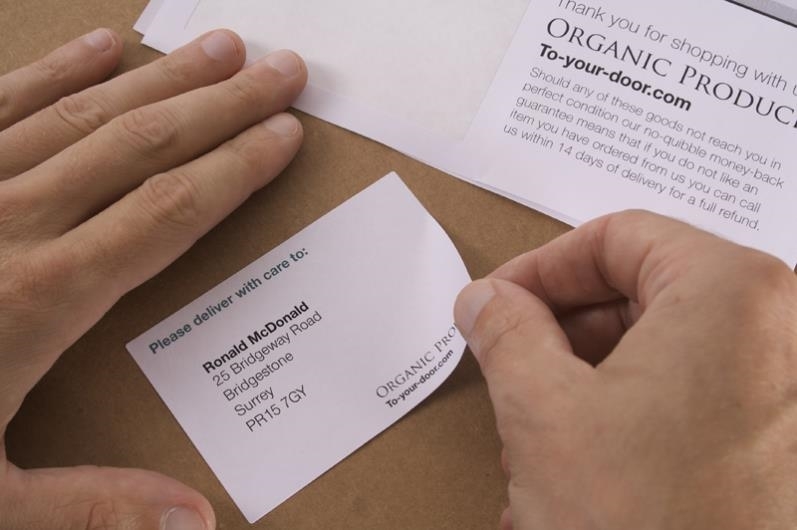 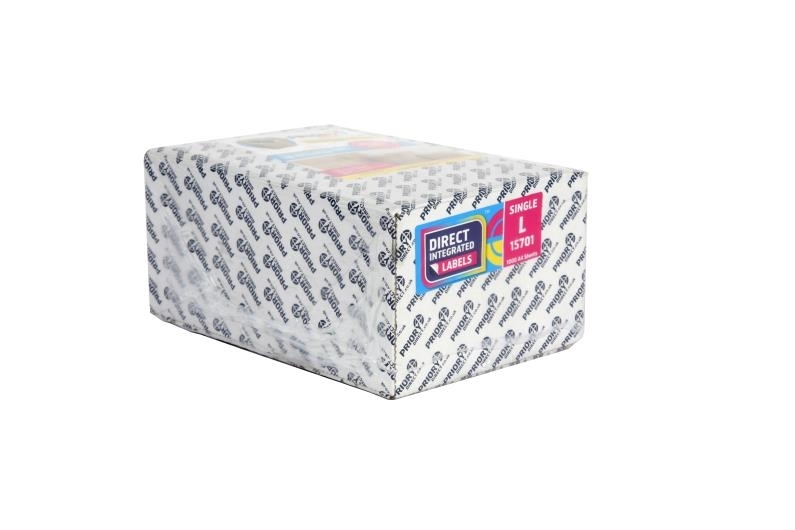 The label is big enough to allow users to include full address details and PPI for an easy one-pass print solution.